Okay, so that Dolly Parton and Porter Wagoner song I posted last week wasn’t depressing enough for you? Well, here you go, try this one on for size. 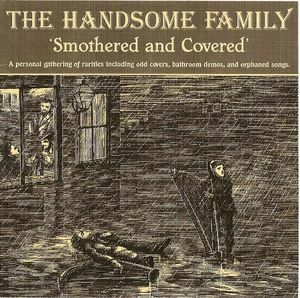 Written by Bill Monroe, this song is a classic country number, but it’s also one of the saddest, bleakest songs ever, here performed wonderfully by the alt.country (whatever that is) duo The Handsome Family, taken from a self-released compilation called Smothered & Covered:A Personal Collection Of Rarities Including Odd Covers, Bathroom Demos, And Orphaned Songs.